What's surprising with many of the albums by popular casting show candidates is that at first listen, they sound much better than expected. It shouldn't be too big a surprise, though: nobody would doubt the singers' technical qualifications, and with adequate production and songwriting power behind them, they should sound professional. But once you subtract the slick production and the expert one-blueprint-fits-all songwriting, there's little left in terms of personality or originality. 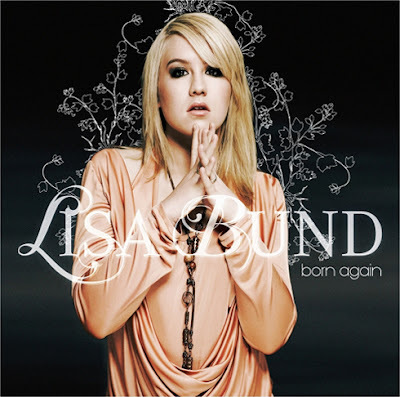 Lisa Bund, a 19-year-old girl who was the second runner up of Germany's DEUTSCHLAND SUCHT DEN SUPERSTAR in 2007, has a strong but rather undistinctive voice, and the songs are pleasant, radio-friendly pop/rock material dealing with the typical beginning- and end-of-relationship themes. It's thoroughly listenable, and there's a certain bland appeal to some of the songs -- but of course, there's nothing here that hundreds of other pop singers couldn't and wouldn't do exactly the same. In other words, Bund doesn't offer anything which feels like it's particularly personal in terms of style or content (always difficult when an army of songwriters and producers create the music for you). Yes, 19-year-old pop singers rarely bring a thoroughly individual voice to the table right away. No, that fact doesn't make the criticism irrelevant. BORN AGAIN is nice and nothing else.